NEVADA’S LARGEST CRAFT BEER FESTIVAL WILL BE HELD DOWNTOWN: The seventh annual Great Vegas Festival of Beer will return to Downtown this spring and expand to two days, Friday and Saturday, April 7 and 8. It will be Nevada’s largest craft beer festival to date with more than 10,000 attendees expected throughout both days. Produced by Motley Brews, the festival will offer tastings of more than 500 craft beers from 110 breweries. 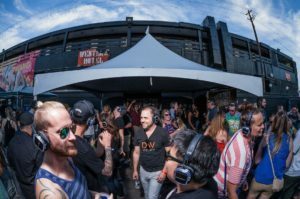 Throughout both days, offerings will include beer-infused and inspired cuisine by some of Las Vegas’ top chefs, life-sized pub games and interactive entertainment. New this year is the addition of a Friday night event, the Mad Craft Experience, which will basically be a science fair for beer lovers from 7-10 p.m. Tickets start at $70. The Great Vegas Grand Tasting will be held Saturday, April 8 from 3-7 p.m. with early entry at 2 p.m. Tickets start at $40. TERRY FATOR STARTS MEET AND GREET OPPORTUNITIES: Celebrity impressionist and Las Vegas headliner Terry Fator is starting exclusive meet and greets in his private dressing room at The Mirage for the first time on Jan. 30. Fans will meet Fator and his puppets from the show and receive a complimentary commemorative photo. Meet and greets will be available on select Mondays, Thursdays and Saturdays; visit terryfator.com for availability. Note meet and greet tickets are $64 and sold separately. They do not include admission to the 7:30 p.m. show, which starts at $59. ENGELBERT BRINGS 50TH ANNIVERSARY TOUR TO THE ORLEANS: Engelbert Humperdinck, who has sold 140 million records worldwide, will make a stop with his 50th Anniversary Tour at The Orleans Showroom Feb. 25-26 at 8 p.m. Tickets start at $54.95. Humperdinck found early success in Europe in the mid-1960s with the hit single “Release Me,” which spent 56 weeks in the Top 50 of the U.K. charts and reached No. 1 in 11 countries. 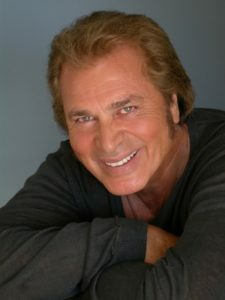 Humperdinck continued producing hits in the 1970s including “After the Lovin’,” which became a Top-10 single in the United States and earned Gold. His album of the same name was a Double-Platinum success. MARILYN MCCOO AND BILLY DAVIS, JR. APPEARING AT THE ORLEANS: Marilyn McCoo and husband Billy Davis, Jr., both former members of The 5th Dimension, will dazzle fans at The Orleans Showroom Feb. 11-12 at 8 p.m. Tickets start at $34.95. McCoo and Davis have long careers as recording artists, performers and authors. The couple has won seven Grammy Awards in addition to earning 15 Gold and three Platinum records. In 2004, they wrote a book celebrating more than 45 years of marriage. On television, the couple starred in the “The Marilyn McCoo & Billy Davis, Jr. Show,” the first variety series starring an African-American musical couple. In their individual careers, McCoo hosted the popular television music series “Solid Gold” for five years, and Davis recorded a religious album titled, “Let Me Have a Dream” with gospel legend Rev. James Cleveland. 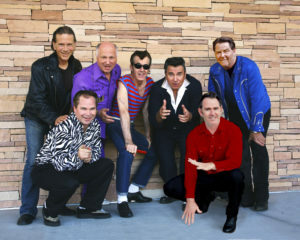 SUNCOAST BOOKS DOO-WOP LEGENDS SHA NA NA : Sha Na Na will bring their high school hop dance hits to the Suncoast Showroom Feb. 11-12 at 8:30 p.m. Tickets start at $19.95. Sha Na Na rose to stardom in the hit musical “Grease” as Johnny Casino and the Gamblers. They combined classic rock and theatrics to become a prolific force in bringing doo-wop hits into the 1970s. The band performed six songs on the “Grease” soundtrack, including their renditions of “Blue Moon,” “Hound Dog,” “Tears on My Pillow.”In 2013, the group released “Sha Na Na – Greaser High School Hop,” a compilation of famous 50s and 60s classic songs. The group hosted its own variety show from 1977-1981, which featured performances of 1950s and 1960s doo-wop hits, plus comedy skits and more. The all-star special guest lineup included artists like Chubby Checker, the Ramones, Ethel Merman, Billy Crystal, and many more. SONNY TURNER HEADLINES ALIANTE’S ACCESS SHOWROOM : Sonny Turner, former lead singer of The Platters, will bring his signature style to Access Showroom at Aliante on Saturday, Feb. 11 at 8 p.m. Tickets start at $30.50. In 1959, Turner was selected from 100 prospects to replace The Platters’ original lead singer, Tony Williams. Starting age 19, Turner toured the world with The Platters, performing the group’s hits and he also re-recorded their major songs, including “Only You,” “The Great Pretender” and “The Magic Touch.” Turner left The Platters In 1970 to pursue a solo career. His vocals can be heard on the soundtracks of movies…“The Nutty Professor II” starring Eddie Murphy, “Hearts in Atlantis” starring Anthony Hopkins, and “Prince of the City” starring Robert DeNiro. BUSH HAS RESCHEDULED SLS DATE AT THE FOUNDRY: British rock band Bush has announced their rescheduled performance date at The Foundry at SLS for Friday, June 2 as the multi-platinum-selling quartet puts the finishing touches on their follow-up to 2014’s “Man on the Run.” Tickets start at $39.50. Over the course of their career, which began in London in 1992, Bush has sold close to 20 million records in the United States and Canada. They’ve also compiled a string of 18 consecutive Top 40 hit singles on the Modern Rock and Mainstream Rock charts. The group’s vocalist and rhythm guitarist Gavin Rossdale is currently serving as a coach on the hit television series, “The Voice UK,” and recently signed a publishing deal with Roc Nation. 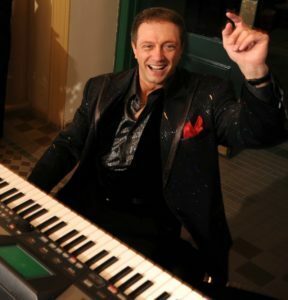 SOUTH POINT FEATURES MUSIC AND MAGIC: A joyful mainstay at South Point is singer-pianist Wes Winters. He’s appearing in the newly remodeled Grandview Lounge every Friday and Saturday night beginning at 6 p.m. through February with his free “One-Man-Lounge- Show.” On Fridays, Feb. 10, 17 and 24, Winters will team with singer Vanessa LeGrand in the lounge. Winters and LeGrand will also appear together again at 6 p.m. in the South Point Showroom on Feb. 3 and 4 displaying their exceptional vocal, stage and piano abilities. Tickets are $5 available at the door with a free drink and $5 free slot play included. Jim Breuer and The Loud & Rowdy Band’s performances on Feb. 3 and 4 were cancelled.An upcoming headliner in the main showroom in February will be illusionist Rick Thomas Feb. 10-12, who for the past 15 years has performed 600 shows a year and hosted world tours spanning five continents. Tickets start at $25. Multi-talented singer, songwriter, musician and dancer Earl Turner will mesmerize audiences Feb. 17-19 in the showroom with 7:30 p.m. shows. Turner the ultimate entertainer began his career at age 19 with his own tour. He has shared the stage with such stars as Lou Rawls, Gladys Knight, Earth Wind & Fire and many more. Turner will perform top hits with special guest, Denise Turner-Collins. Tickets start at $30. PROFESSIONAL DART TOURNAMENT WILL RETURN TO LAS VEGAS : The biggest names in professional darts will compete in the U.S. Masters at the Tropicana, July 13–15. Two qualifying days will be held in the Trinidad Pavilion July 11–12, allowing any darts player from North America the opportunity to win their way into the eight-player North American Championship, being held Thursday, July 13 to determine the domestic U.S. Masters Champion. The winner will also represent North America in London at the 2017-18 World Championship. Play is scheduled 1–5 p.m. daily with single session tickets $40 to $60 and $150 for the entire event and available to the public. The Professional Darts Corporation (PDC) is the world’s leading promoter of professional steel-tip darts with more than 1,000 affiliated players globally. 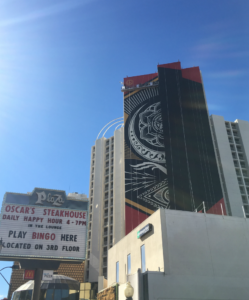 NEW MURALS WILL BE UNVEILED ON THE PLAZA’S EXTERIOR: The Plaza in conjunction with Life is Beautiful Festival and global art curator Justkids has partnered with contemporary street artist Shepard Fairey and English multimedia artist D*Face to unveil new murals on the resort’s exterior Downtown on Saturday, Feb. 11. The works will be the newest additions to Downtown’s growing outdoor art gallery. Fairey, best known for his Obey campaign, Barack Obama “Hope” poster and most recent “We the People” work, will bring his favorite signature imagery to the Plaza, which is the tallest building he has painted in Las Vegas. Recognized for his pop-art style, D*Face will create a unique mural using bright colors, graphic shapes and comic book images. Since its inception, the three-day celebration Life is Beautiful has contributed dozens of permanent murals and art installations to the Downtown district. The annual festival brings together people from all walks of life to create an experience centered in music, art, taste and ideas and will return for its fifth year Sept. 22-24. COMEDIAN BENJI BROWN VISITS SHOWROOM AT ALIANTE: Stand-up comic Benji Brown will generate the laughs in the Access Showroom at Aliante on Saturday, Feb. 25 at 8 p.m. Tickets start at $30.50. 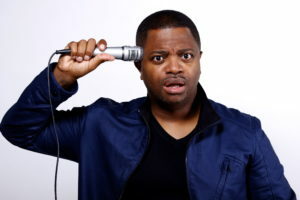 Brown, who began performing stand-up in 1999, uses his childhood growing up in Miami as comedic fodder. He was always a prankster with his classmates and a natural talent. Brown has worked with big names in comedy and Rickey Smiley, who made him a regular on-air contributor to the syndicated “Rickey Smiley Morning Show.” Brown has also contributed his voice as on albums for Trick Daddy and Flo-Rida. THE SPACE HOLDS LIMITED-RUN OF ‘LOVE LETTERS’ WITH CELEB COUPLES: A.R. Gurney’s Pulitzer Prize-nominated, “Love Letters,” will be the first play to debut at The Space, a new community-driven, charity-based arts complex located off the Strip at 3460 Cavaretta Court. With a unique approach, the play will be performed by five couples from the Las Vegas entertainment community from Feb. 10-14. The lineup of celebrity couples includes: Penn Jillette and Emily Jillette Feb.10; Robert Torti and DeLee Lively Torti Feb. 11; Josh Strickland and Todd DuBail Feb. 12; Graham Fenton and Nicole Kaplan Fenton Feb. 13; and Clint Holmes and Kelly Clinton Holmes Feb. 14.General admission tickets are $20. RAPPER NF WILL VISIT HOUSE OF BLUES: Rapper NF (real name Nate Feuerstein) is adding 37 dates to his nationwide Therapy Session Tour after his 2016 successful tour dates and debuting his No. 1 sophomore album “Therapy Session” last April with Capitol Music Group. 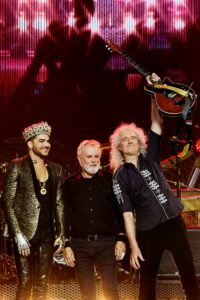 His new dates will include a one-night stop at the House of Blues Friday, April 14 at 7 p.m. Tickets start at $22. NF found a therapeutic outlet writing and freestyle rapping his form of “therapy,” which helped him overcome a deeply troubled upbringing in his small hometown of Gladwin, Mich. His music has resonated with a deeply passionate young fan base who identify with feelings of rejection, alienation, abuse and perseverance. 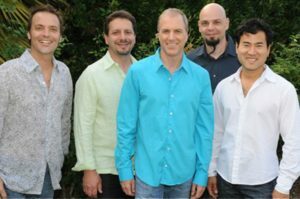 JAZZ HITMAKERS THE RIPPINGTONS COME TO ACCESS SHOWROOM: Grammy Award-nominated jazz musicians The Rippingtons are booked at Aliante in the Access Showroom Saturday, Feb. 18. Tickets start at $39.50 for their 8 p.m. show. Formed in 1986 by the group’s only original member, Russ Freeman, who still helms the group, The Rippingtons have been performing jazz music for more than 30 years and released nearly 20 albums. Their most recent album is “True Stories” released in June 2016. In the early 1990s, the group revealed its first No. 1 album, “Welcome to the St. James’ Club.” The group’s 15th album, “Modern Art,” was nominated for a Grammy Award in 2009 for Best Pop Instrumental Album. DINING NEWS ITEMS: Shake Shack® has the first mobile ordering Shack App for iOS available nationwide. To celebrate until Tuesday, Feb. 28, Shake Shack is giving away a free single ShackBurger® at any U.S. location except airports, stadiums and ballparks to a guest who downloads the new Shack App. Use the promo code “shackappy” at checkout. Every day, Border Grill’s two locations use a lot of produce, which is the product that can suffer the greatest in transit. To keep the farm-to-table integrity, most of the product is trucked in from California. Good news, come spring there will be a local source for fresh fruits and vegetables harvested blocks from the Las Vegas Strip. Last July, Urban Seed broke ground on its first farm, an assemblage of high-tech greenhouses located on a small plot of land smack in the center of Las Vegas. Eventually the space will hold six 6,500-square-foot greenhouses that will produce 25 different crops, from bell peppers to beets to alpine strawberries. Tom’s Urban at New York-New York will celebrate its second anniversary with a special “Tom’s Turns Two” affair Feb. 1-28 featuring birthday-inspired indulgences and a special promotion for guests with names that begin with the letter “T.” Guests with the first name Tom or any name starting with “T” will receive 50 percent off their individual bill. Brio is celebrating the 10th anniversary of its first Las Vegas location at Town Square with a 10-day-long celebration featuring a gift card giveaway. Saturday, Feb. 18 through Monday, Feb. 27, BRIO will randomly select 10 lucky dine-in guests from 3:30–6:30 p.m. to receive a $10 gift card. In addition, BRIO will serve new happy hour offerings $4–$6, Monday–Friday from 3:30–6:30 p.m. New happy hour dishes include Short Rib Nachos and Fingerling Potato Skins. Local event company, Destinations by Design, Inc. (DBD) won “Best Dining Table Design” for “The Grand Banquet,” along with The Venetian | Palazzo, at the 32nd annual Gala Awards competition during The Special Event held in Long Beach, Calif. For the third year of Ultimo: A Weekend of Excellence, the four-day event, celebrated the romance of Italy with lavish feasts and featured The Grand Banquet, a creative collaboration between several of the world’s best chefs. DBD’s award-winning design was set for 120 guests with a “Dinner in the Clouds,” theme. 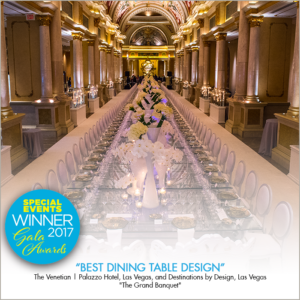 A 120-foot-long glass table displayed beautiful white accent pieces and featured hanging chandeliers underneath the table. Using custom effects, artificial clouds were blown into the space throughout the night. SIDE BITS: The Jan. 28 and 29 performances of Mind” “Willie Nelson & Family: Vegas On My show at The Venetian have been cancelled due to recent illness and will not be rescheduled. Performances on Feb. 1, 3 and 4 are still expected to take place. Don’t often mention gaming promotions but found this one interesting with it helping a good cause. Boyd Gaming properties – Gold Coast, The Orleans, Sam’s Town and Suncoast – on Sunday, Feb. 19 will be offering their B Connected player club members one free box of Girl Scout cookies from 10 a.m. –7 p.m. after earning 300 points while supplies last. 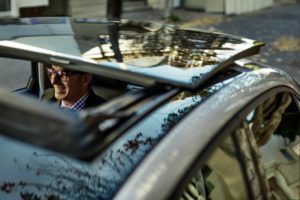 On Jan. 26, Las Vegas became the 11th city in the United States to offer Lyft Premier matching riders with a luxury sedan or SUV. Through Feb. 23, new and existing riders can experience Lyft Premier’s amenities and receive $10 off four rides using the code “PREMXLAS” as supplies last. Lyft and JetSuiteX have partnered and during February, four passengers who take a Lyft Premier ride and enter the code “JETSUITEX” will be entered to win a free round-trip ticket on JetSuiteX. The Utah Shakespeare Festival troupe will perform “A Midsummer Night’s Dream” at p.m Charleston Heights Arts Center, located at 800 S. Brush St. on Saturday, Feb. 4 at 2. Appropriate for ages 12 and older, this condensed touring version features complete costumes, sets, and theatrical lighting. 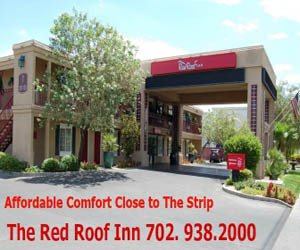 Tickets are $10 in advance – call 702-229-3514 or 702-229-6383, and $15 at the door.